This is a great party starter with seasonal veggies or even a quick afternoon snack. Also great with eggs in the morning or wrapped around your favorite sandwich ingredients. We hike every week-end, always in the mornings. Then we set about our weekly tasks. Not always a lot of fun but necessary. Most afternoons we try and relax or go out somewhere. This Saturday we decided to take it easy and since I had all day I started the dough for this bread. After the dough is made it needs to rest in a warm spot for at least 4 hours. Looking at these little breads you might think they are a cross between a tortilla or a flat bread. But then you take a bite and are pleasantly surprised by their buttery flakiness. Next you try the dip which is thick and salty with a pretty intense flavor. Life is starting to look pretty good right about now. This recipe has been slightly adapted from Bon Appetit March 2014 magazine Flaky bread and Herbed feta dip. Whisk flour and salt together, drizzle in butter, mix well. Slowly mix-in water. Kneed on a lightly floured surface about 5 minutes until dough is shiny and very soft. Wrap in plastic and let sit 4 hours. Divide dough in 10 pieces. Then using your palms roll into balls and place on baking sheet to rest; cover 15 minutes. Next we start coiling which is the method used here to set up the buttery flaky layers of this bread. First you roll out each one on an unfloured work surface into a very thin oval or round. This provides the traction needed to get the dough thin. Brush each one with 1/2 teaspoon butter and sprinkle with flaky salt. Roll into a long thin rope and wind into a tight coil. When ready to use, roll out into a thin round on an unfloured surface one at a time and stack with sheets of parchment paper brushed with olive oil to separate layers. Heat a large non-stick skillet on medium-high heat and brush both sides of dough rounds with room-temperature butter and cook 2 minutes on each side. Blend feta, parsley, mint, dill and water in food processor. Taste; add salt and pepper if needed. Pour into serving dish. Add a light drizzle of olive oil and a sprig of dill. Yum a perfect combination, that bread looks great - I have bookmarked to try it. Thanks Ela, thanks for stopping by. This looks like a perfect snack for pre dinner drinks! Hi Tandy, this does make a great appetizer, thanks! Thanks Prudy! they might look like a tortilla but there is a flakiness to them. Both dip and the flaky bread are beautiful! 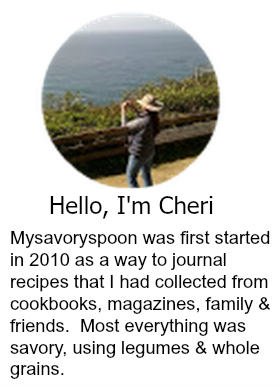 I've never heard of either of these, Cheri, but they sound delicious. Mint goes so well with feta but I would never have thought of adding it to a dip. Hi Helen, it was new to me too, but a nice combination. I saw these in Bon Appetit also and thought they looked wonderful. Thanks for verifying that! You dip looks amazing too, what a great combination!! Thanks Chris, I get so much of my inspiration from them. I make something similar but brush with sesame oil and sprinkle minced scallion with the salt as well. 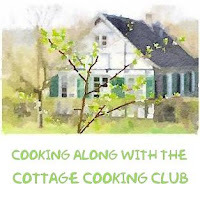 Hi Norma, oh that sounds wonderful, think I will be trying your recipe next time, thanks for sharing! Hi Mindy, know exactly what you mean, we love hiking! This bread sounds so interesting. Looks wonderful, and sounds great with the dip! Thanks Monica, the bread was crispy and flaky, which was good, but very surprising. I love a flat bread and this looks perfect for dipping, ripping and sharing. The herb dip sounds great too - very nice! Thanks Trisha, I just adore the saltiness of the feta and it went along with the bread very nicely. Ooo, scrumptious! I would thoroughly enjoy this with a glass of wine.